1923 Ford Model T roadster deluxe. 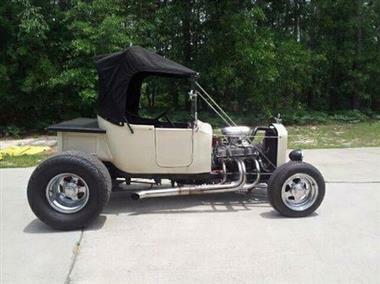 Registered as a 1987 home made car it is a 1923 Ford T model roadster deluxe. It has a 350 motor with 350 turbo trans. and 373 rear end. 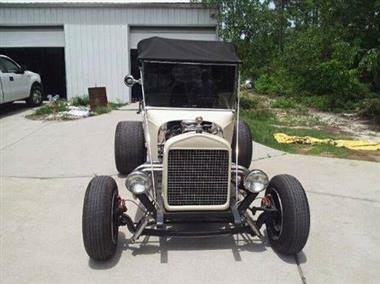 This vehicle is priced $993 more than the Average Market Price of $18,004 for a 1923 Ford Model T. This is a Fair Deal as it's priced 5.0 % above market avg. The Pie chart below shows the number of ads within different price ranges.